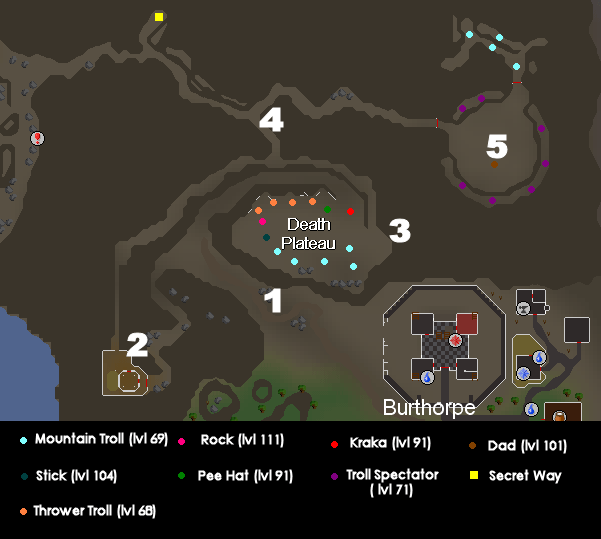 This guide covers the Death Plateau, Trollheim Mountain, the Troll Stronghold, the Trollweiss Mountain and the Ice Path. When you walk towards the plateau from Burthorpe you will come across a cave. 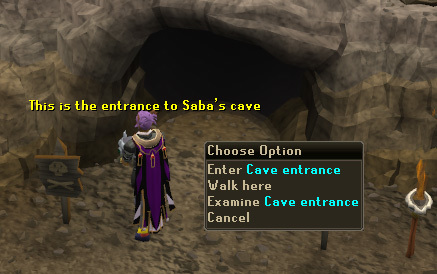 In there you will find Saba, who appears in the Death Plateau Quest. If you walk on you will come to a crossing. A soldier of Burthorpe will be lying wounded by the road. The path to the south-west will lead you to Tenzing's house, the one to the north will take directly to the plateau. 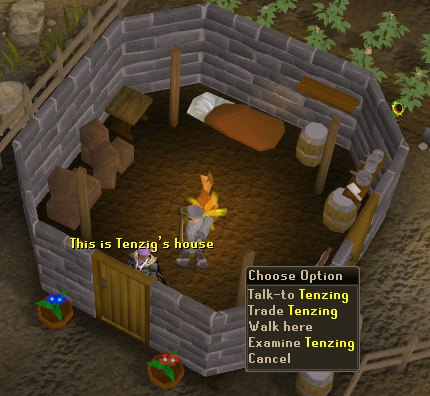 If you follow the southern path (which is the one you need in the afore mentioned quest) you will come to Tenzing's house. 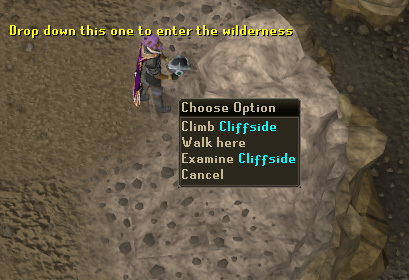 If you are doing the quest he will show you the secret path behind his house, and he will also sell climbing boots for 12 gp. 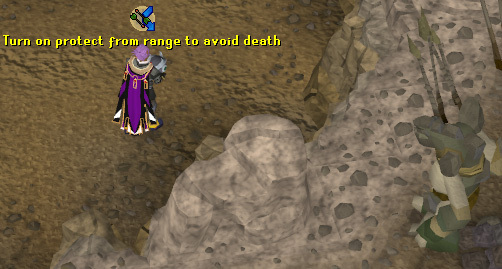 You can use the secret path for avoiding the Death Plateau or for entering it from the north, which is useful if you don't have level 40 prayer for Protect from Ranged. Now let's return to the crossing. If you follow the north way make sure you use protect from ranged, as the thrower trolls will pelt you with stones and can hurt you badly. Here you will find many different trolls, Mountain Trolls, the Thrower Trolls and some stronger ones. It is possible to kill these guys using a halberd over the ruined tents, but as they are aggressive, an other troll may attack you and disturb you. 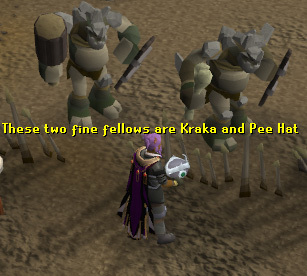 At the entrance you will find two level 91 trolls, Kraka and Pee Hat. Neither of them are aggressive and you can hally them easily. 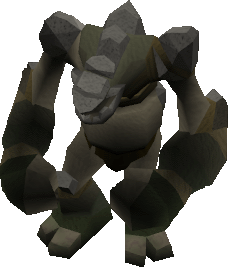 At the west bit of the plateau there are two large trolls which are aggressive, Stick (level 104) and Rock (level 111). 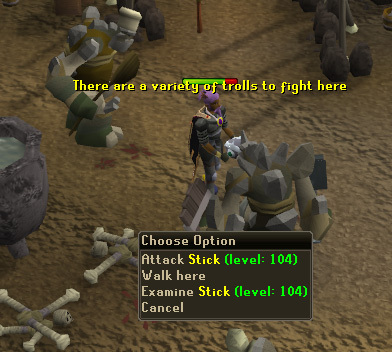 It is believed that the stronger trolls have the same drops as the Troll Generals, which we will encounter later on. In the middle of the camp there are two troll cooks with whom you can't interact. 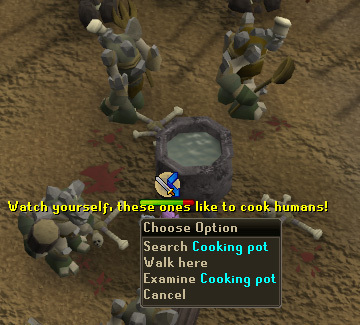 Every now and again they may start leading an entertaining argument about how to cook a human. North of the Plateau the road will split. 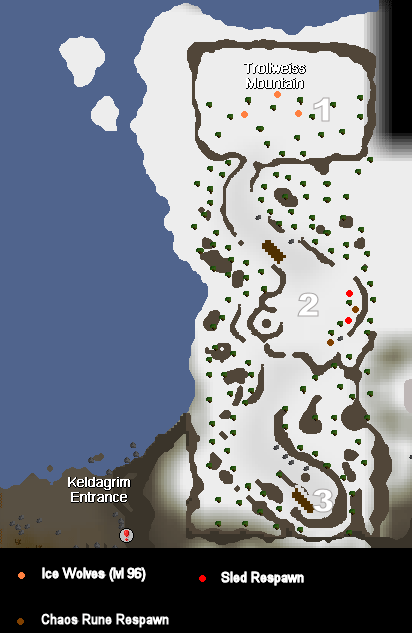 The western one will lead to the eastern bit of Fremennik Province, just east of the slayer dungeon. 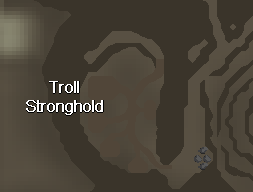 You will also find a secret entrance to the Troll Stronghold (marked with a yellow square on the map). We will come across that later. To the east you will climb over some obstacles and come to the Troll fight arena. 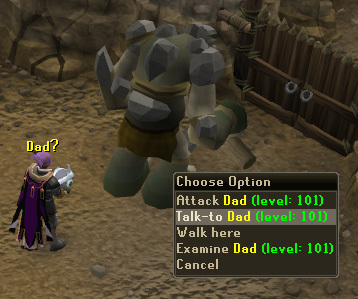 The first time you will come here you will be challenged by Dad. You will have to kill him to pass by. With his huge tree club he will be able to knock you several squares away and stun you for a few seconds. When you have defeated him he will leave you alone and you won't be able to attack him again. This is also the place where you fight Arrg (level 113) in the Troll romance quest (he will teleport you here). There are also some level 71 Troll Spectators watching. They aren't aggressive. If you exit the arena by the north you will come across some more Mountain Trolls, level 69 and 71. Follow the path and you will find a cave. Inside there are more Mountain trolls. 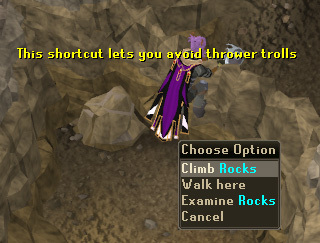 The north exit will lead you to Trollheim. 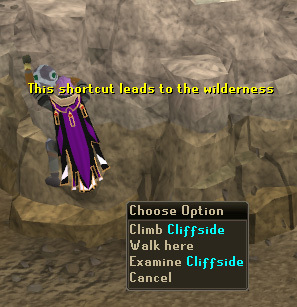 Near the exit from the small cave there is a special shortcut (level 64 agility required) which leads to level 20 Wilderness. Beware! You cannot climb up from the other side. All over the mountain there are some small shortcuts (level 41, 43, 44 and 47 agility required), which let you climb the mountain avoiding the Thrower Trolls and speed up your ascent to the top. Like in the Death Plateau there are Thrower Trolls, which will use you as a target and can damage you if you don't use Protect from Ranged. Right at the top of the mountain there's the place where you appear when you use Trollheim teleport (61 magic and Eadgar's Ruse required). 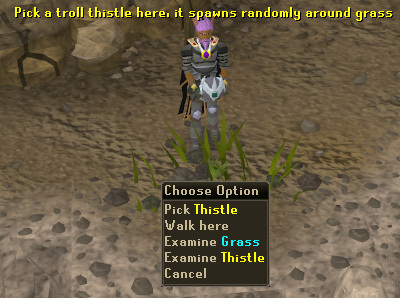 There are also some Thistles which are needed in the quest, they can be rather annoying to find. If you go to the north you will come to the Trollweiss Mountain and the Ice Path, which we will see later on. Here we are right in front of the Stronghold itself. There are several Mountain Trolls here and this is a good place for using a Dwarf Cannon. Like in the Plateau you can use a halberd safely over the ruined tents. When you enter some friendly Mountain Trolls will greet you by attacking you. You can either greet them back in their way or go south to some interesting creatures, the troll generals (level 113). There are three of them all in all, and with two of them there are good safe places for attacking them. 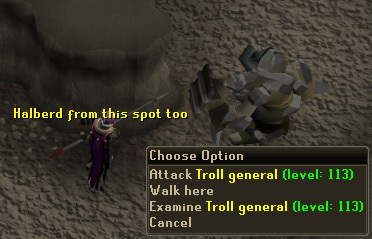 You have to kill one of them in the Troll Stronghold quest to get a key. Here's the first. 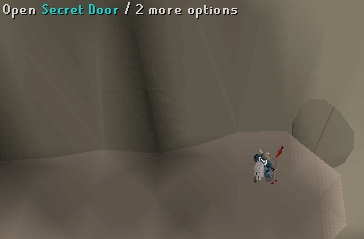 He's armed with a granite maul (which he doesn't drop) and a granite shield. It is also possible to range or mage them from the safe spots. Luring them out can be a bit dangerous, as they can hit over 400 Life Points in one blow (not very pleasant, believe me). If you are using magic or ranged it should be easy. If you are using a halberd stand two spaces away, attack him and run for it. You could also cast a spell (for example a Defence-reducing one) and go to the safe spot. 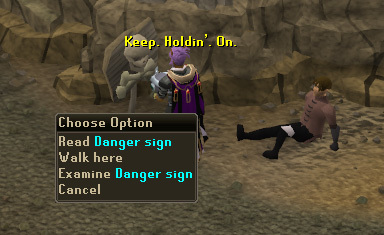 Here, a fellow halberd user was only too happy to demonstrate the safe spot for this general. This one is armed with a formidable stone scimitar. The generals have quite good drops, for example all kinds of warhammers, tons of earth runes and sometimes a lucky granite shield. 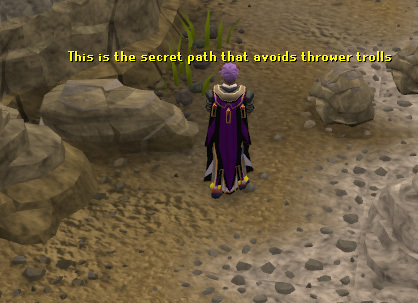 They are great for slayer training. It's best to leave the third general alone, as there aren't any safe spots for him. 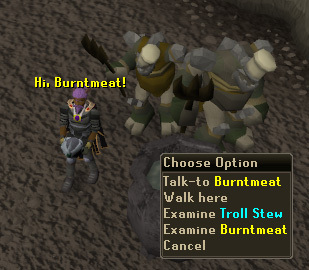 Downstairs in the south bit you'll find Burntmeat and some other troll cooks. 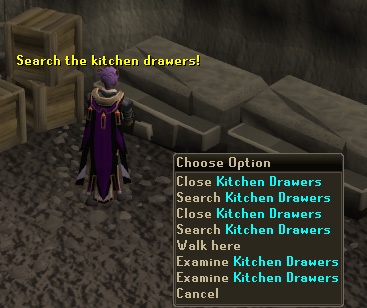 In these drawers you'll find a key you need for Eadgar's Ruse Quest. In the next room you'll find Ug, the starting point for the Troll Romance Quest. He will thank you if you have helped him. Downstairs on the bottom floor is the jail. 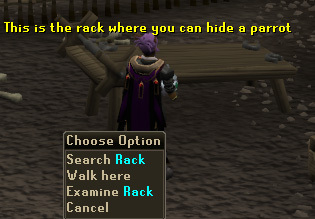 There is also the rack where you hide the parrot in Eadgar's Ruse Quest. 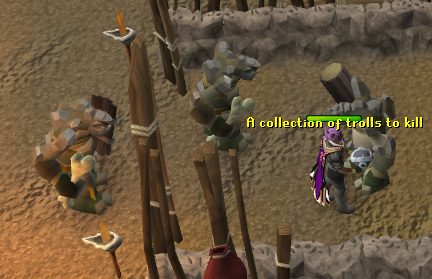 The jail will be guarded by two level 71 trolls, Twig and Berry. 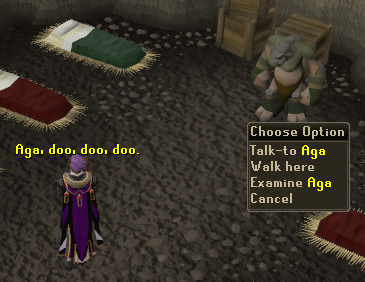 You need to steal a key from them in the Troll Stronghold Quest. Afterwards you can kill them if you like. 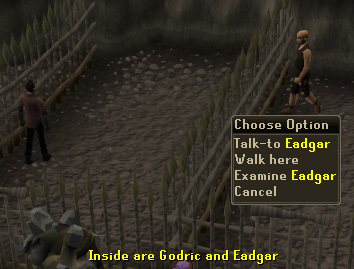 Inside the cell you'll find Godric and Eadgar, both need to be freed. To the south there's an exit to the secret door shown on the Death Plateau map above. Through there, you'll find yourself on a path that leads to the Fremennik Province. 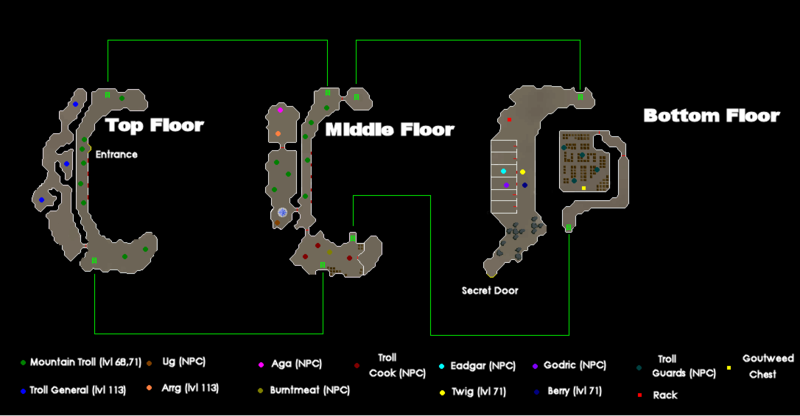 If you look at the map above you'll see a room with boxes in the bottom floor. 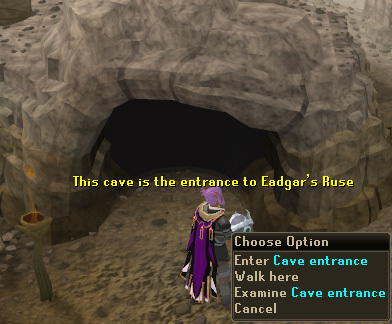 That's where you need to sneak past the Troll Guards and steal some Goutweed in Eadgar's Ruse Quest. 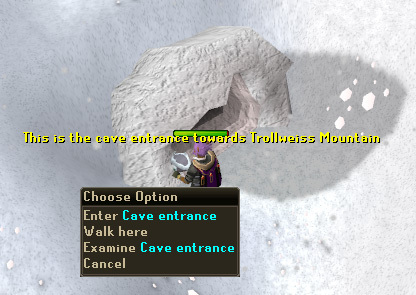 The Trollweiss Mountain is currently only used in the Troll Romance Quest. Before you go up there you will need a Sled. 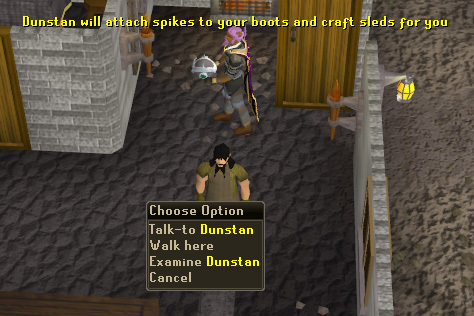 To get one bring a maple or yew log, an iron bar and a rope to Dunstan the Smith in Burthorpe. Afterwards you will need to wax it. Get some swamp tar from Lumbridge Swamp or Mort Myre and mix it with some wax from the Seer's Village beehives. You will need to use the insect repellant from the house in Catherby on the beehive before getting the wax. Use the mixture on you sled and you're done. Now to getting up the mountain. 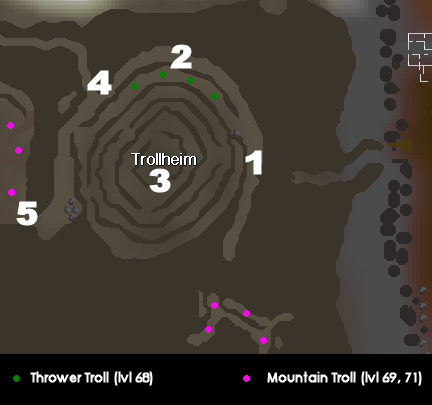 Scroll up to number four on the Trollheim map above. You need to follow the path north from there and it will soon start snowing. Presently it will start snowing. 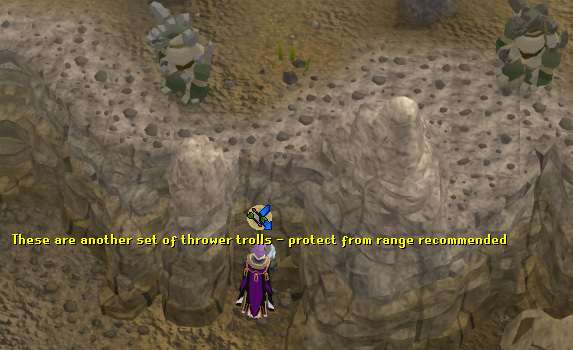 You will find a troll child (if you have done that part of Desert Treasure Quest you will also find his parents). Now walk to the west and you'll find a cave. Enter quickly as the cold will start hurting you. 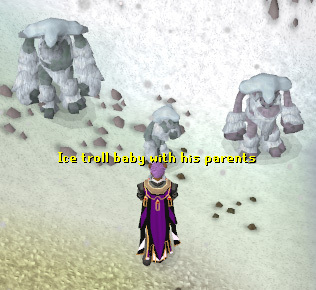 Inside you'll find a long winding cave with some nasty level 124 Ice Trolls. Put on Protect from Melee if possible and run past them. At the end of the cave you'll find a gap, climb through it. You'll now be at number 1 on the map above. You will be on a snowy plain. 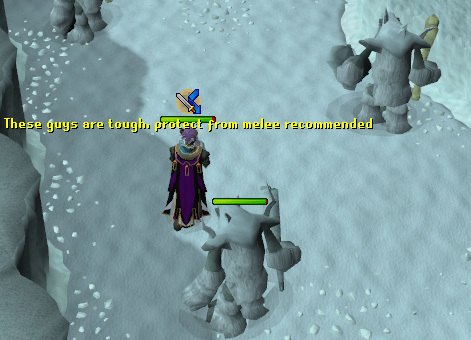 There isn't anything interesting here, except some evergreen trees you may want to cut for some reason and some vicious level 96 Ice Wolves. Run past them until you come to a slope where the snow seems to be darker. 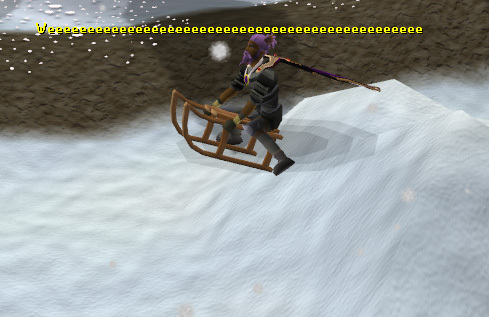 Now equip your sled and down you go. 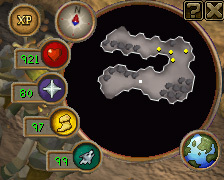 At the bottom you will find some sled and chaos rune respawns. You will be at number 2 on the map. Nearby there's a small round hill with some rare flowers growing on it, the Trollweiss. Pick one for the quest (take more if you like). Note: The Trollweiss has the lowest combat stats in existence (-100 in crush) making it nice for joke fights in the Duel Arena. 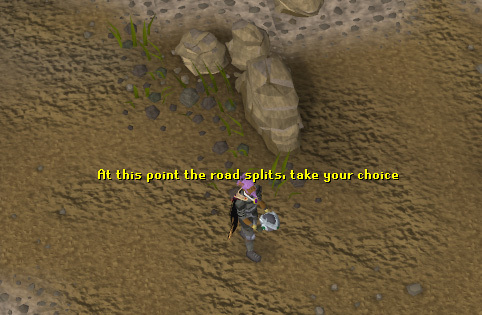 Unless you want to get some runes (only one at a time in the respawn) and sleds, there isn't any reason for staying here. After a while you may start suffering from frostbite, which will hurt you. 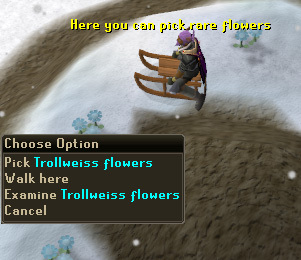 Now sled down the slope near the flowers. You will end up outside a cave entrance (number 3) . 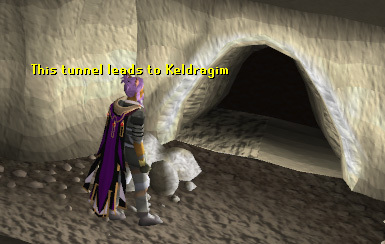 Enter it and you will be in the tunnel near the Keldagrim entrance. 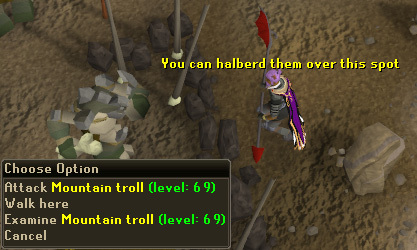 There are some level 69 Mountain Trolls here.